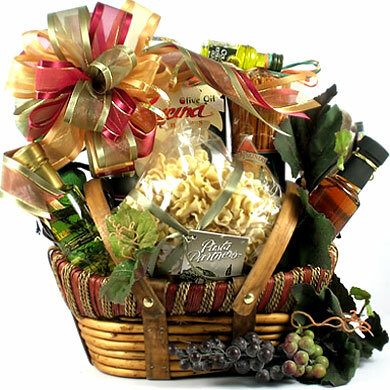 Huge and beautiful this impressive gourmet food gift basket is the perfect gift for anyone who needs to feel recognized and appreciated. 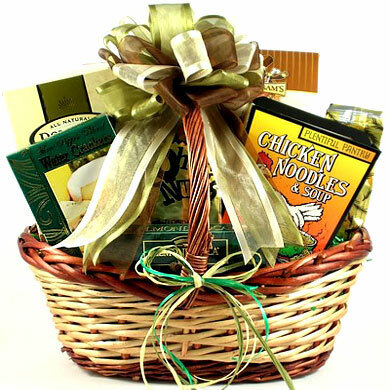 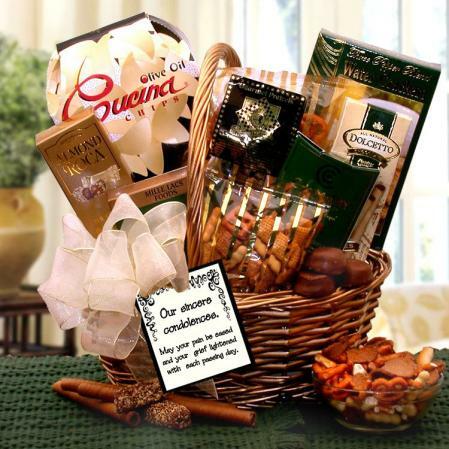 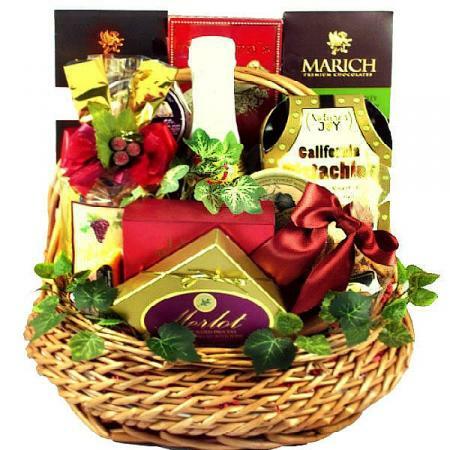 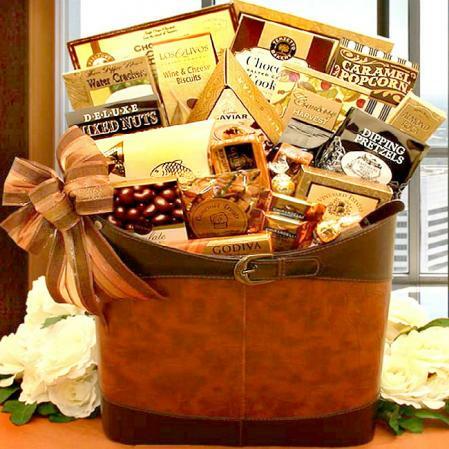 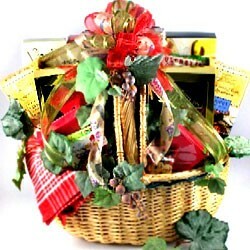 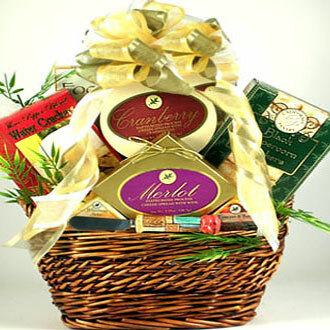 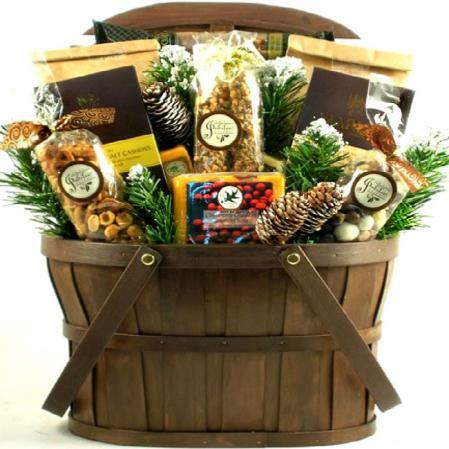 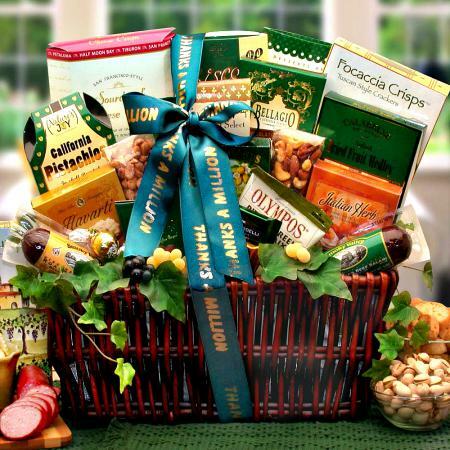 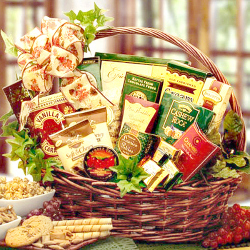 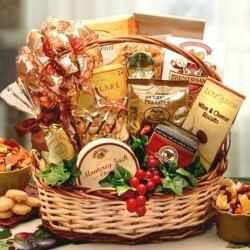 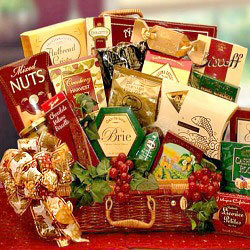 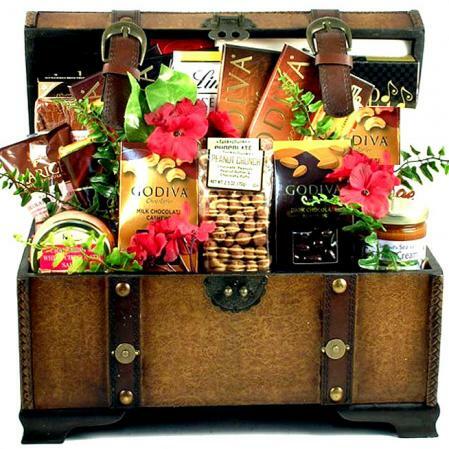 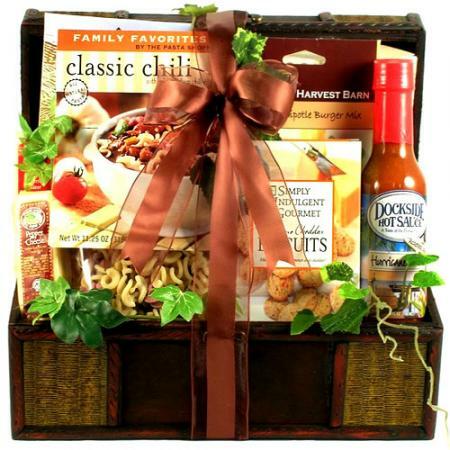 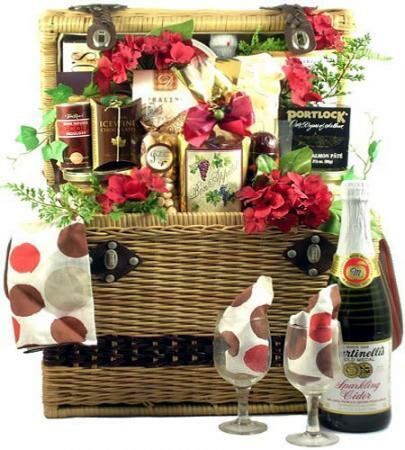 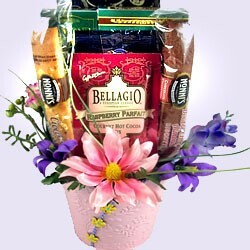 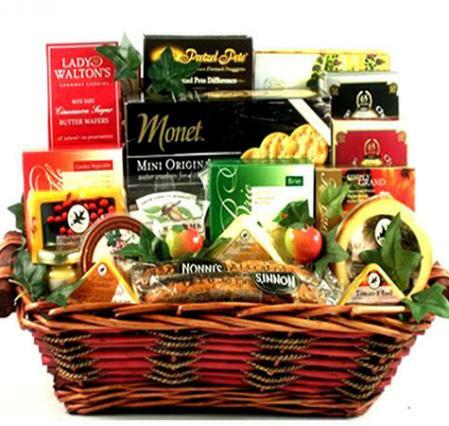 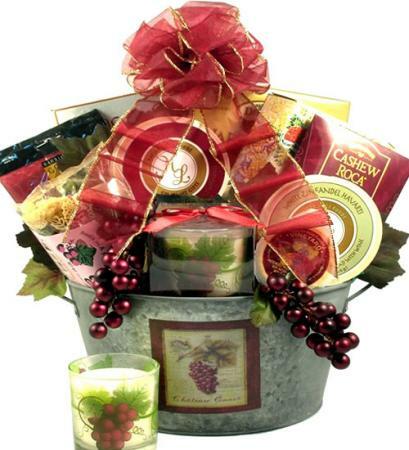 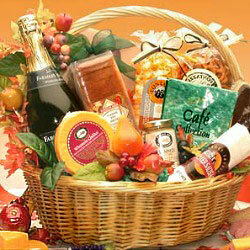 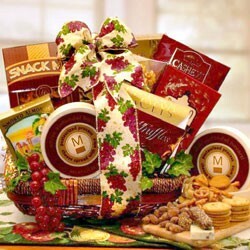 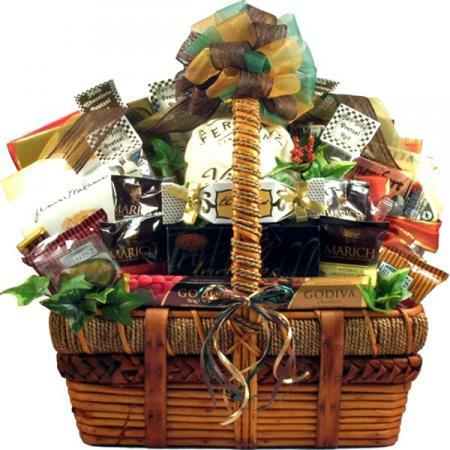 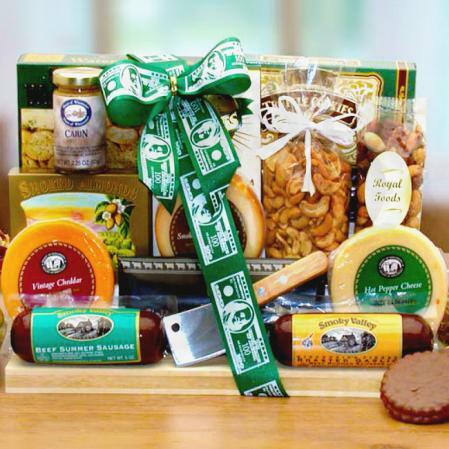 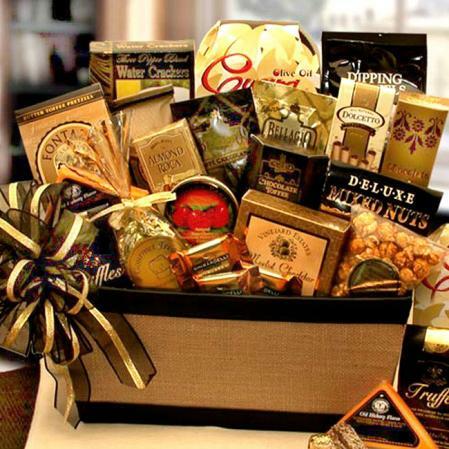 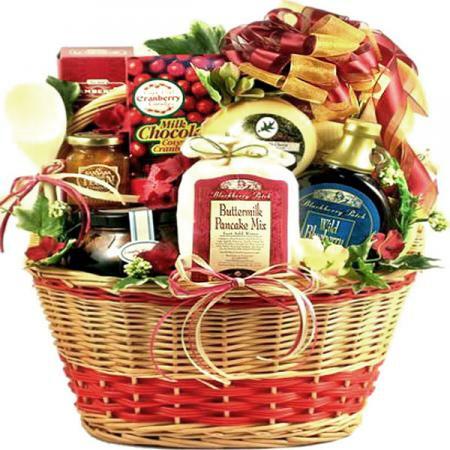 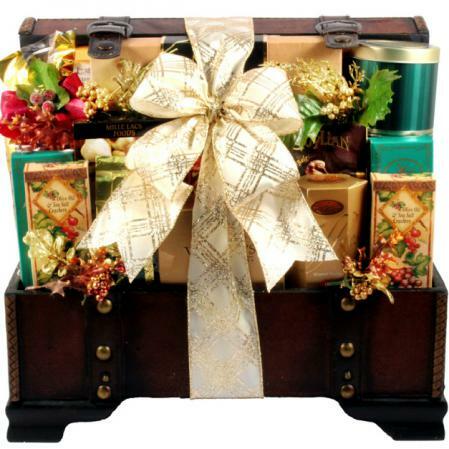 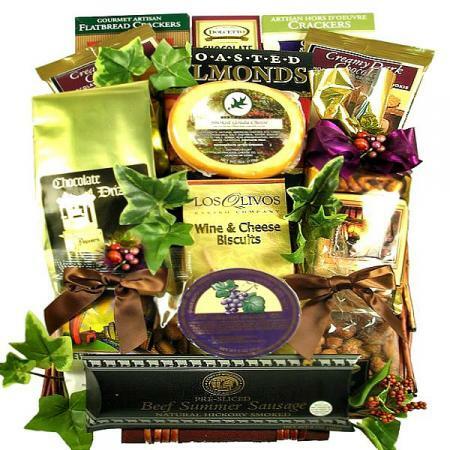 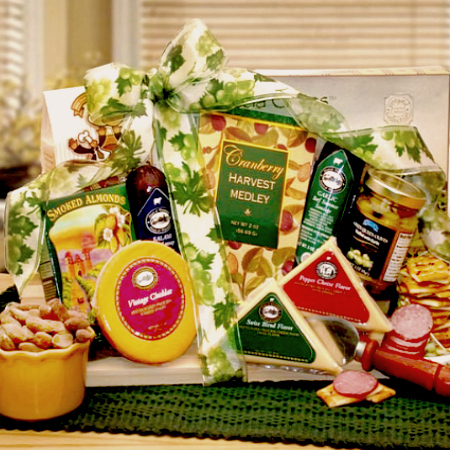 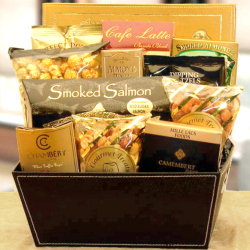 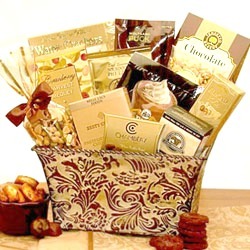 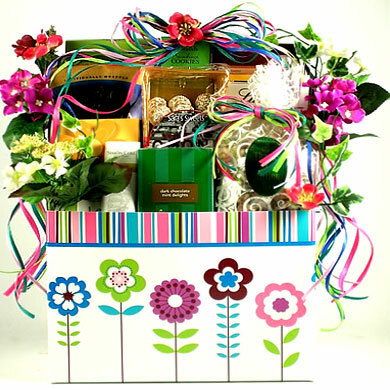 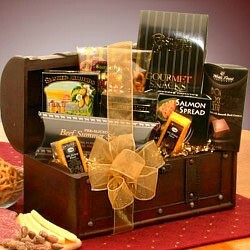 With this over-the-top, large gourmet gift basket you will make a statement that will not soon be forgotten. 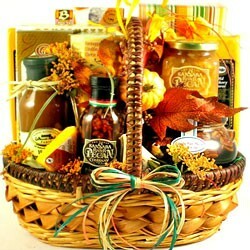 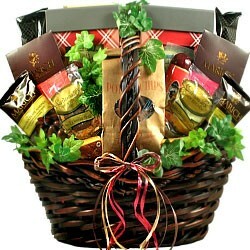 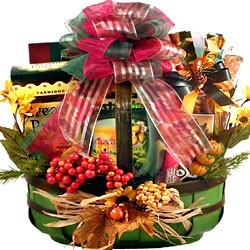 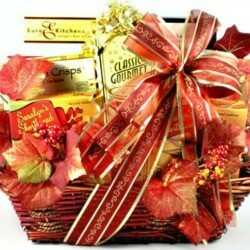 Makes a great corporate holiday gift basket or Thank You gift basket for anyone who needs to feel appreciated. 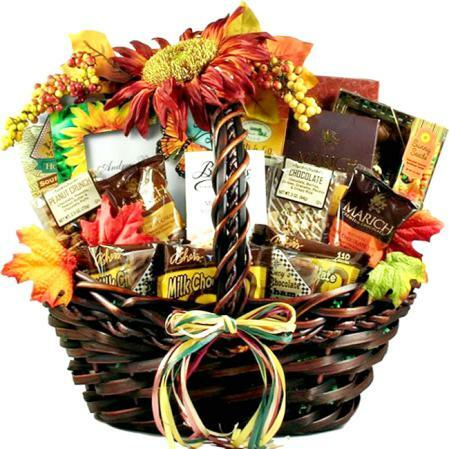 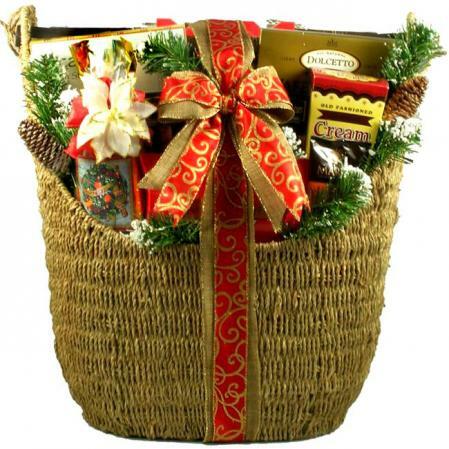 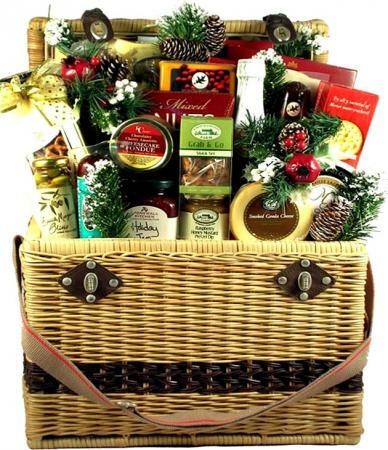 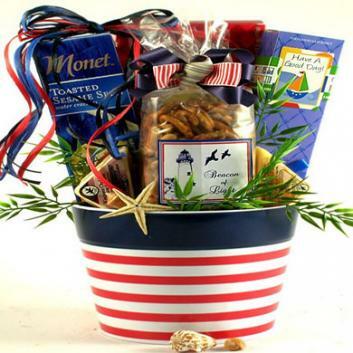 You could even send this large gift basket for a family to enjoy together in a new home or to help them celebrate any special occasion.